Albert Henry Ball was born in Datchet in late 1884. His father, Frank, died in 1890, leaving his mother, Louisa Elizabeth, née Anderson, a widow at the age of 27, with six children under eight years old. 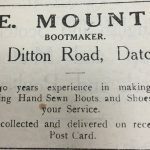 By the time of the 1891 census, Louisa was working as a laundress and had taken in a 24-year-old lodger, Edward Mount, a shoemaker from Battersea, at their home at Datchet Place, near Green Lane. Edward Mount and Louisa Ball were married later that year. By 1901 the family had moved to Talbots Cottages, Workhouse Road (now Holmlea Road). Edward was working as a self-employed bootmaker and had six children of his own in addition to his six step-children. Albert, then 15, was an innkeeper’s pot boy and barman, very probably at a village pub. Edward and Louisa had at least two more children and in 1911 the family was living at New Road. Albert became a forester and worked felling trees. He married Alice Wilson sometime between July and September 1914 and they had at least one child, a daughter Mary, born in early 1915. (The Soldiers Effects documents in his military records refer to ‘children’ but only one child has been found so far.) Albert enlisted in Oxford in early 1915 and appeared on the Datchet Roll of Honour in the Windsor & Eton Express in April, shortly after his daughter’s birth. They lived at 18 Ditton Road, now number 38. 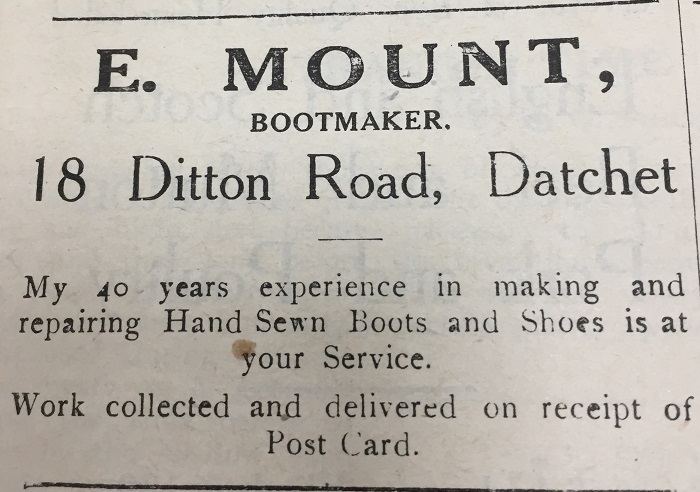 In the 1920s, Albert’s step-father, Edward Mount, advertised his bootmaker’s business from that address in issues of Datchet Parish Magazine. Albert trained with the Royal Horse and Royal Field Artillery, as Private 94584, then transferred, as Private 20321, to the 1st Battalion Essex Regiment which had been serving in Gallipoli since spring 1915. Albert joined them on 19 September that year. The battalion was evacuated from Gallipoli on 8 January 1916 and moved to Egypt. 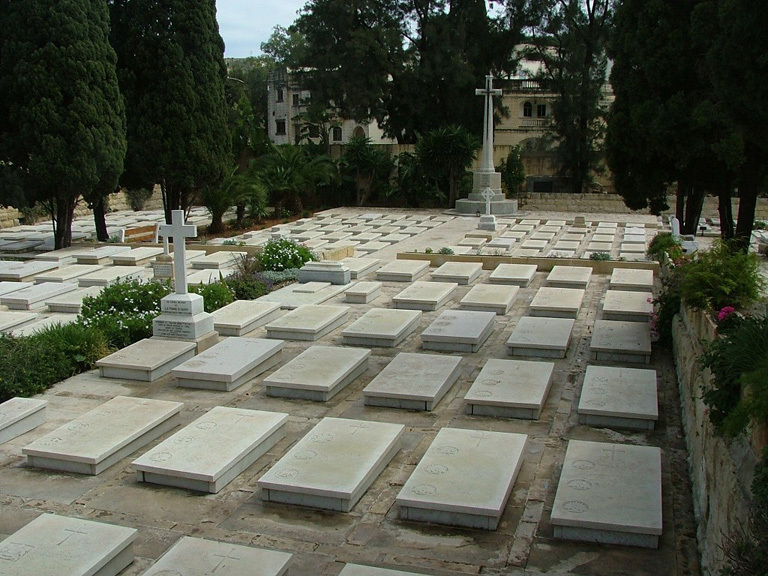 We do not know when Albert was wounded but he died of his wounds in Malta, age 31, on 14 January 1916, very probably in a military hospital. From the spring of 1915, the hospitals and convalescent depots established on the islands of Malta and Gozo dealt with more than 135,000 sick and wounded, chiefly from the campaigns in Gallipoli and Salonika. Albert has a grave at Pieta Military Cemetery in Malta where 1303 Commonwealth casualties of WWI are buried or commemorated. Two of Albert’s half-brothers and his stepfather also fought, as did Albert’s brother Frank who was also wounded in July 1915. His brother Frank does not appear on the Datchet War Roll, possibly because he had joined the military a few years before the war and had left the village, but his name was published in the Datchet Roll of Honour in the Windsor & Eton Express of 9 January 1916. Albert Henry Ball was awarded the British Medal, Victory Medal and 1915 Star.